The program we run for children is called the “Young Dragons” Junior Kung Fu. 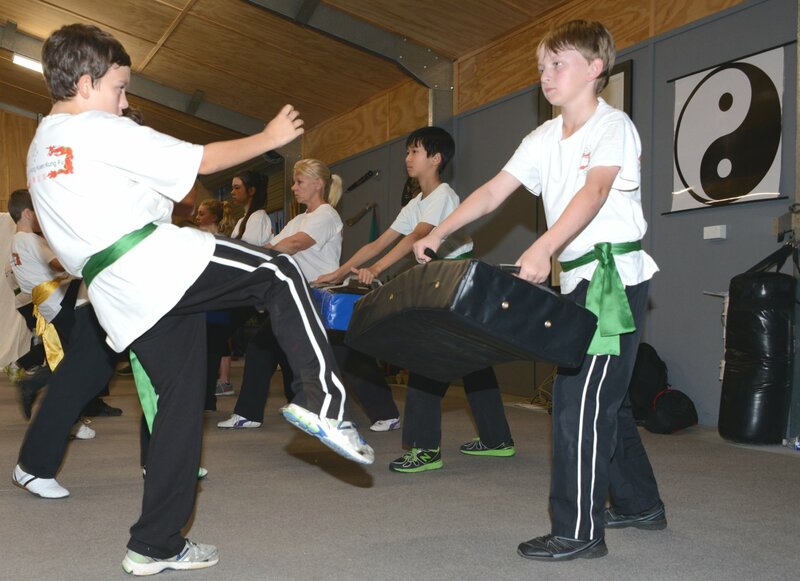 Within this program our classes focus on the study of Kung Fu , which develops increased focus and concentration as well as building self esteem and confidence. Students develop increased core strength, improved flexibility and overall body / brain connection and coordination. After warm ups, basic techniques are taught and practiced, these would included strikes, blocks and kicks. This is then followed by instruction in a traditional Kung Fu form. Some of the key self defence strategies we teach our kids are …. Try avoid danger as their first course of action. Typically our classes begin with warm up exercises which begin with rotations of major joints, followed by a beautiful 300 yr old Chinese exercise called Baht Juen Gum. Students are encouraged to do this exercise daily even when not in class as it enhances circulation, leg and core body strength, balance as well as breathing and concentration. Why Should Your Child Do Martial Arts?